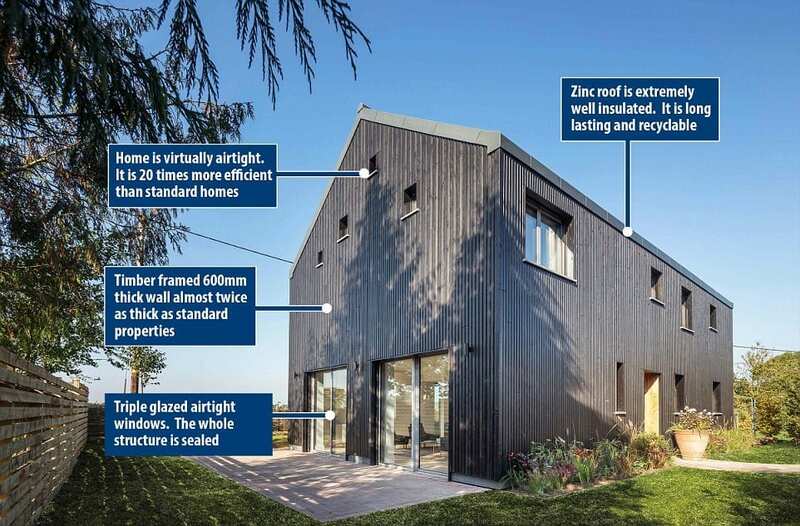 MBC Timber Frame house as Britain’s Most Eco Friendly House? When architect Tom Gresford bought the Old Water Tower near Newbury Berkshire, he demolished it and built a Passivhaus timber framed house supplied by MBC Timberframe. He said ”The house is so well built that it doesn’t require extra heating. All the heating used is passive.It uses a heat recovery system that extracts the heat in the house, heats it up and and then expels it throughout the house. There is no room in the house that only has one orientation; every room has two or three orientations to let the sun come in through the windows to be used as a heat source. 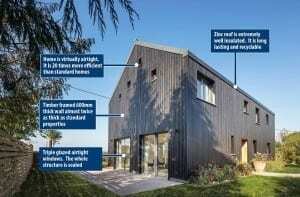 The house also relies on people living in it and using it and all the heat you generate is used. The walls of the house are very, very thick and this insulation and it being air-tight means the heat doesn’t escape. It also means the heat is kept out during the summer. It is quite unusual to walk into a house on a cold winters’ day and it is nice and warm inside yet there is no heating or fire on.